The Austrian, Luxembourg and Swedish delegations abstained from voting on the law, which establishes a framework for the safe and responsible management of highly radioactive materials in deep underground geological storage. The directive will enter into force at the latest in September of this year. Member States will have two years to transpose its provisions into their national laws. By 2015, governments must submit their first national programs to the European Commission, the EU’s executive branch, which will examine them and can require changes. “This is a major achievement for nuclear safety in the EU,” said Energy Commissioner Günther Oettinger, who proposed the directive last November. There are 143 nuclear reactors in 14 of the EU’s 27 Member States, which provide over one-third of the EU’s electricity. The other states still have responsibility to dispose of radioactive waste produced by their research, medicine and industry. Some 7,000 cubic meters of high-level nuclear waste are produced across the EU each year. Most Member States store spent fuel and other highly radioactive wastes in above-ground storage facilities that need continuous maintenance and oversight and are at risk of accidents, such as airplane crashes, fires or earthquakes. 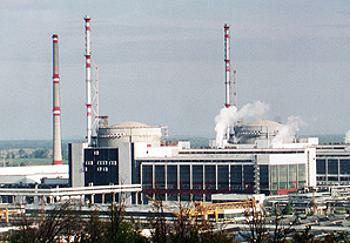 Hungary and Bulgaria currently ship nuclear waste to Russia. In its most controversial provision, the new law allows export of nuclear waste to countries outside the EU. In its initial proposal, the Commission had advocated a complete export ban. On June 23, 2011, the European Parliament in its plenary session voted in favor of a complete export ban as proposed by the Commission. In a close vote, MEPs backed a ban on exports of nuclear waste to non-EU countries, with 311 votes in favor, 328 against and seven abstentions. However, the European Council today approved a version of the directive that allows export. As the legal basis for this directive is the Euratom Treaty, the European Parliament is only consulted, an its opinion is not binding. The final decision is taken only by the Council, composed of the heads of government of every EU Member State and the president of the European Commission. Under the new law, export to countries outside the EU will be allowed but only under strict and binding conditions. The third country must have a final deep geological repository in operation when the waste is shipped. At present, such deep geological repositories do not exist anywhere in the world nor is a repository in construction outside of the EU. It takes a minimum of 40 years to develop and build a deep geological repository, the Commission said today in a statement on adoption of the new directive. According to already existing EU laws on the shipment of spent fuels and radioactive waste, the export to African, Pacific and Caribbean countries, as well as to Antarctica, is explicitly ruled out. 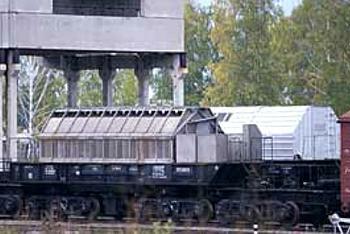 Greenpeace EU nuclear policy adviser Jan Haverkamp was critical of the new law, saying shipment of nuclear waste to countries outside the EU should not have been allowed. “Despite pressure from the European Commission to block exports, the new rules will allow Hungary and Bulgaria, countries that currently have agreements for the export of nuclear waste to Russia, to continue transferring radioactive material,” said Haverkamp. Under the new directive, national programs have to include plans with a concrete timetable for the construction of disposal facilities, as well as a description of the activities needed for the implementation of disposal solutions, costs assessments and a description of the financing schemes. They will have to be updated regularly. 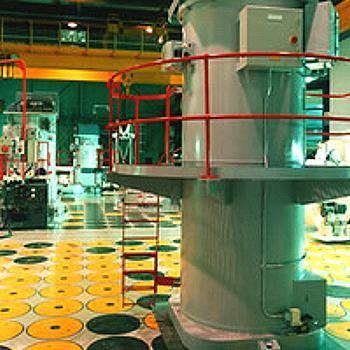 Safety standards drawn up by the International Atomic Energy Agency will become legally binding. Information will be made available to the general public and workers, and the public will have opportunities to participate in the decision-making process. At least every 10 years, Member States are required to invite international peer reviews to exchange experience and ensure the application of the highest standards. More than 50 years after Europe’s first nuclear power reactor became operational – the UK’s Calder Hall power plant in 1956 – there are still no final repositories for nuclear waste. Under the Euratom Treaty, the EU has the legal competence to protect the general public from ionizing radiation. The energy mix is a national competence. The Commission said it will “closely and carefully” monitor the implementation of the new directive, in particular progress made in building disposal facilities for radioactive waste and spent fuel and, if they occur at a later stage, possible exports of radioactive material.